Since 1981, Washington Ear has provided audio-description headsets for live theater. WASHINGTON — Just because you can’t physically see the stage, doesn’t mean that you can’t enjoy live theater in the nation’s capital. Sometimes, “theater of the mind” is just as exciting. 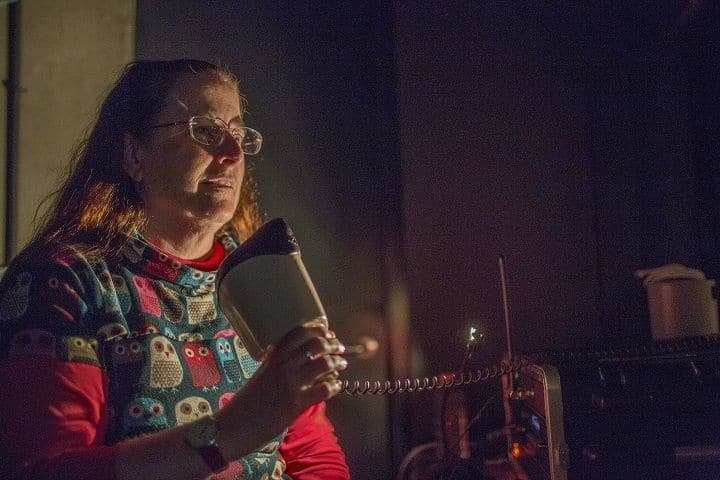 For 38 years, Metropolitan Washington Ear has assisted visually impaired theatergoers by providing audio descriptions of the action, costumes, sets and lighting via audience headsets. Based in Silver Spring, Maryland, Washington Ear provides the service for nine local theaters: Arena Stage, Ford’s Theatre, National Theatre, Olney Theatre Center, Round House Theatre, Shakespeare Theatre, Studio Theatre, Hexagon, Washington Revels and others by request. Twenty-one volunteers are specially trained to cover 50 to 60 live shows each season. The oldest volunteer has participated since 1981, while others have over 25 years of experience. The process starts when blind patrons are handed a headset as they enter the theater. A prerecorded message provides an audio description of the program notes similar to a Playbill. Once the lights go down and the show starts, where does the audio describer stand? From there, she begins her live narration, describing what she sees in between dialogue. In order to identify these precise moments, Tehan does her homework ahead of time. The task is particularly challenging during musicals, such as “Anything Goes” at Arena Stage. How does she describe the rapid movements of the dance numbers? It’s a different animal entirely for a nonmusical play, such as “Indecent” at Arena Stage. Her character descriptions also include symbolic interactions without editorializing. If you’d like to attend a show, check out the accessibility options on each theater’s website.